What are "Information Requests" and how can I access them? Information Requests are messages/enquiries transmitted to you by potential buyers/sourcing professionals. 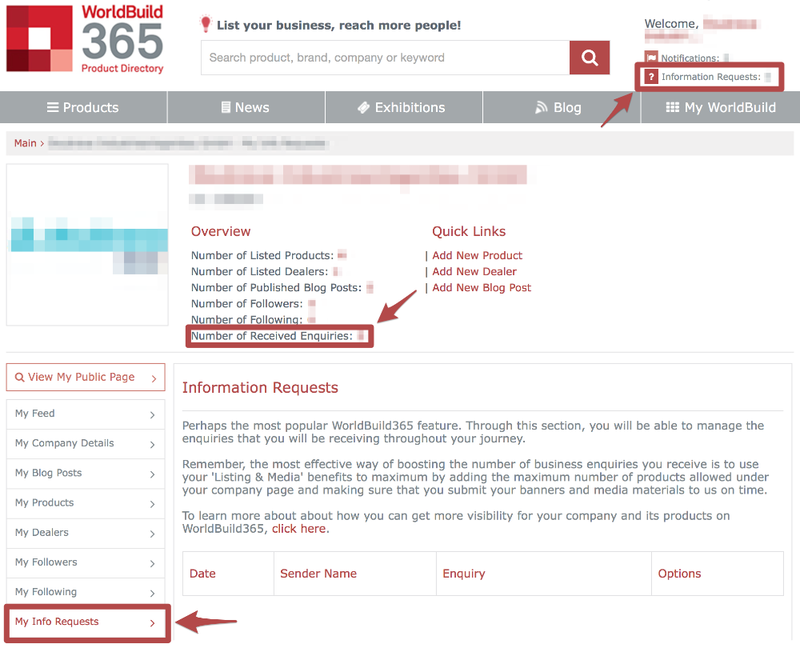 Each request that is submitted by a site visitor or registered user is archived under your company account and each time you receive one a notification email is also sent to your company email submitted by you during your WorldBuild365 registration. TIP: By visiting the "My Company Details" you can always change the main email address that we use in communicating with you or transmitting notifications such as "Information Requests". Log in to your Company Account to access your Information Requests. Below you will see highlighted text/menu items that will take you to your Information Requests.